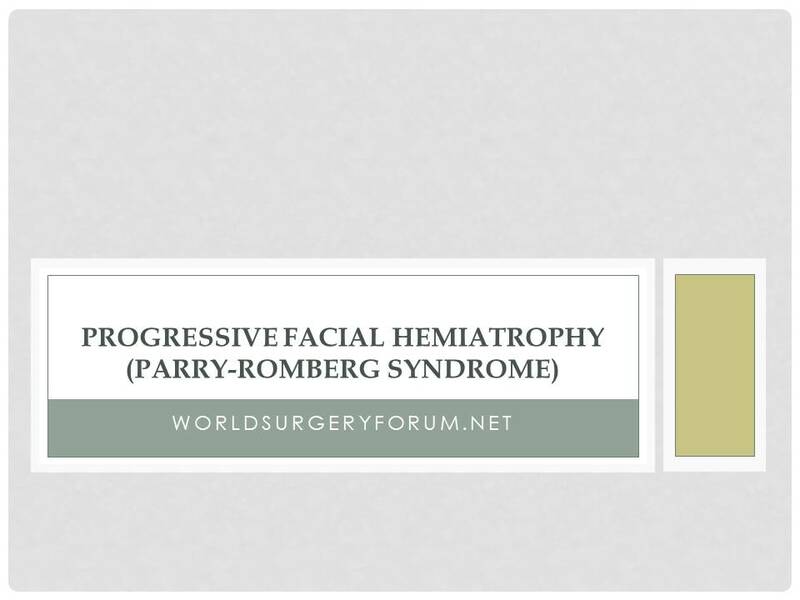 This is a patient of Parry-Romberg syndrome, also known as progressive facial hemiatrophy. 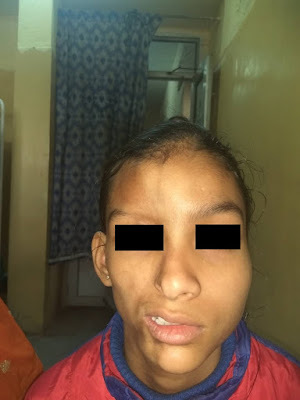 It usually starts in childhood and gets worse with time, and it seems to be more common in girls. 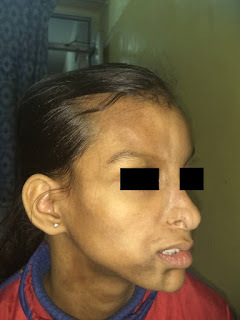 It is characterized by slow and progressive hemifacial atrophy of skin, subcutaneous tissue, muscle, and bone. Congenital mechanisms, disturbance of fat metabolism and trophic malformation of the cervical sympathetic trunk have been implicated. In addition to the distinctive atrophy that occurs on one side of a patient's face, it can also cause seizures and other neurological problems.